Sweden and Denmark share a similar socio-political structure, yet these two countries demonstrate two distinct discourses on immigration. 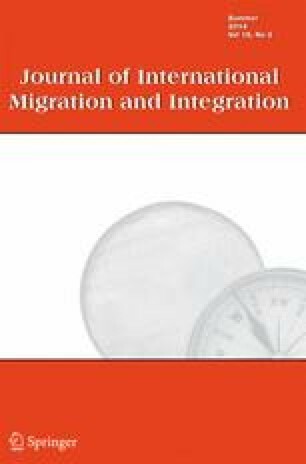 This article focuses on the tone of the debate in Denmark and Sweden concerning immigration and national identity. If the tone of debate is shaped by a language of fear, we argue, this predisposes people to vote for anti-immigration parties. Our analysis highlights the position of anti-immigration parties; hence, the Sweden Democrats (SD) in Sweden and the Danish People’s Party (DPP) in Denmark. We use frame analysis to detect recurrent frames in the media debate concerning the SD and the DPP in the political competition over votes. Our material concentrates on the run-up to the European Parliamentary (EP) elections of 2004 and 2009, in total 573 articles in ten major Danish and Swedish newspapers. We show that the harsh tone of the debate and the negative dialogue risks leading to the construction of beasts that are impossible to negotiate with. In the Swedish political debate, the SD is highly stigmatized as the beast (the extreme other) in Swedish politics and this stigma is used by the SD in the mobilization of votes. In Denmark the religion of Islam as such plays a similar role and provides the DPP with an identity. We conclude that we are confronted with a two-faced beast that feeds on perceptions of the people as ultimately afraid of what are not recognized as native goods. The article has in a much earlier version been published as working paper (CoMID Working Paper Series No. 1, 2011). We have presented the paper at various conferences and seminars (e.g. MIM and IMISCOE). We are grateful for all the constructive comments emanating from these sessions. We have also received additional valuable input from Susi Meret and Karina Horsti. We greatly appeciate their comments. Hellström currently leads a research project, funded by NOS-HS, on the ideological development, organizational transformation and mainstream reactions to the four Nordic nationalist-populist parties. The project is based at the Malmö institute for studies of migration, diversity and welfare (MIM), Malmö University. Hellström has published extensively on issues pertaining to European integration, nationalism, populism and the media. Some of his most recent publications are ‘Nationalism vs. Nationalism: The Challenge of the Sweden Democrats in the Swedish Public Debate’, Government & Opposition, 2012 47 (2), 186–205 (with Tom Nilsson and Pauline Stoltz); Vägar till medborgarskap (ed), (Lund: Arkiv förlag) 2011 (with Pieter Bevelander and Christian Fernández); Vi är de Goda: den offentliga debatten om Sverigedemokraterna och deras politik, (Hägersten: Tankekraft förlag, 2010); ‘”We are the Good Guys’: Ideological Positioning of the Nationalist party Sverigedemokraterna in Contemporary Swedish Politics’, Ethnicities 10 (1), 55–76 (with Tom Nilsson). Hervik has conducted research among the Yucatec Maya of Mexico and in Denmark on issues of identity, categorization, racism, nationalism, ethnicity, multiculturalism and the media including Morgenavisen Jyllands-Posten’s coverage of Islam since 1997. His books include Mayan Lives Within and Beyond Boundaries. Social Categories and Lived Identity in Yucatan, (Harwood Academic Publishers, 1999, Routledge, 2001), Den generende forskellighed. Danske svar på den stigende multikulturalisme (Hans Reitzels Forlag, Copenhagen 1999) and The Annoying Difference. The Emergence of Danish Neonationalism, Neoracism, and Populism in the Post-1989 World. New York and Oxford: Berghahn Books.